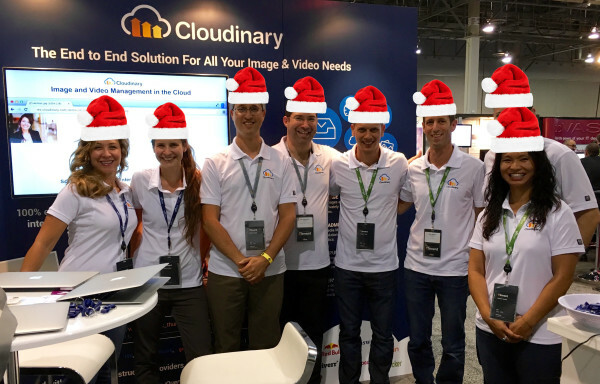 2015 was a great year for Cloudinary. We more than doubled our numbers, including our team size, offices, customers and revenues. During 2015 we’ve hit another significant milestone, crossing the eight-figures in annual run rate. Video management solution - All cloud-based capabilities we had for images are now available for videos as well. New Image manipulation capabilities - face-detection based cropping with zoom level control, dynamic image distortion, automatic red eye removal, lossy animated GIF optimization, added support for FLIF - the new lossless image format, image overlay dynamic transformation, image similarity detection using pHash, and many more. New image processing add-ons - Imagga's automatic image tagging, professional photo background removal and advanced facial attribute detection (more details coming soon). This year, new capabilities were introduced in guest posts - introduction of Cloudinary's official Magento plugin by Grant Kemp, and responsive images with 'srcset' by Eric Portis. This year for the first time, we shared some behind-the-scenes technical details and numbers. This post explains Cloudinary's bootstrapped way of organically building a profitable SaaS service. During 2015 we were also honored to add BVP (Bessemer Venture Partners) as a strategic investor. Cloudinary is BVP's 100th investment in cloud companies. Using Cloudinary you can add overlays on top of underlying images using image manipulation URLs. You can further control the look & feel of the overlays by applying multiple image transformations on them. Furthermore, you can use face detection and even eye detection for placing the overlays exactly above faces or other facial attributes (using the Advanced Facial Attributes Detection add-on). 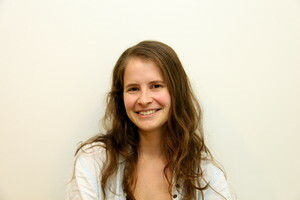 That covers everything needed to dynamically add hats to all the photos on your website or mobile application! For example, let's take the following images that were uploaded to Cloudinary (thanks to our beloved Orly B.). 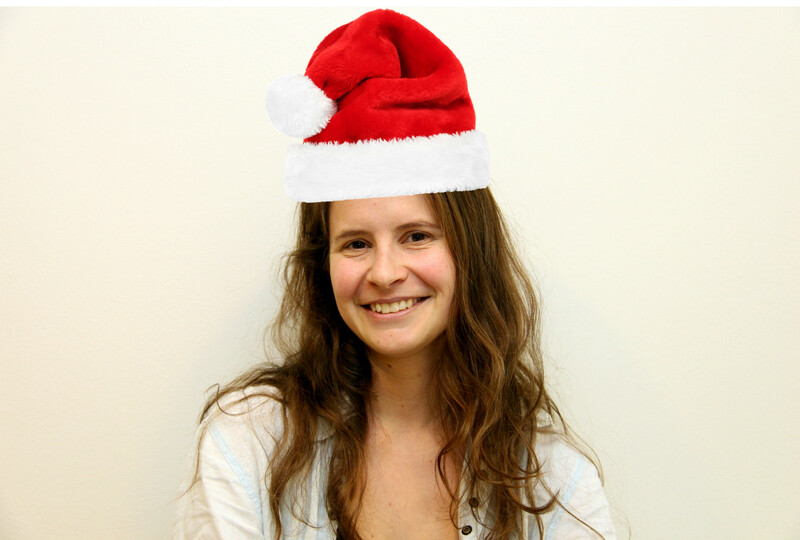 The dynamic image manipulation URL below adds the Santa hat exactly above the auto detected eyes while rotating the hat to perfectly match Orly’s face. The hat is dynamically resized and padded in order to fit well as an actual hat. An even more powerful capability is to add the same hat overlay to all the faces automatically detected in a photo. You may notice the different dimensions and rotation angles of each hat overlay that are automatically determined according to the detected position of the eyes. The example below uses similar image transformation instructions to add Santa hats to a group of Cloudinary's team taken at the AWS re:Invent conference. As Christmas was last week, I guess a different hat is needed. 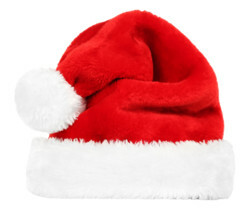 The example below uses the same technique, specifying the ID of a party_hat instead of a santa_hat. This should better fit the upcoming New Year celebration. We’re expecting to double our team size again in 2016, so we’ll be able to both tackle all the exciting new features and products on our road-map and continue to offer our customers the best service possible. In 2016, Cloudinary will continue to help solve the Responsive Images challenges. We’ll take our video management solution to the next level, further enhance Cloudinary's DAM solution and media search capabilities, enhance our online Media Library and strengthen integrations with existing and new development frameworks. We’ll also be adding plenty more image and video manipulation & optimization capabilities. 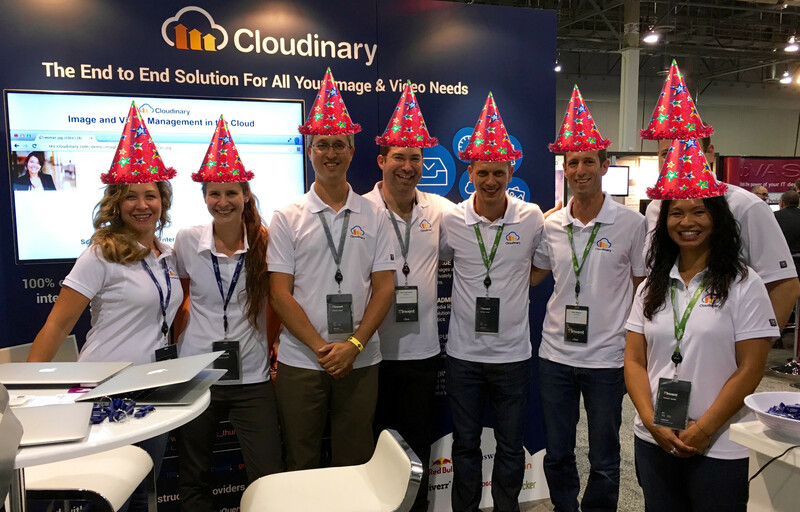 Ever since we launched Cloudinary over 3.5 years ago, our customers’ needs were always our #1 priority. Keeping this in mind, the majority of the features we’ve added in 2015 were in a response to customer requests, so please keep the suggestions coming!